- Tabs are now on top by default on Windows and OSX - Linux will be changing when the theme has been modified to support the change. - You can turn any tab into an "App Tab" by right-clicking on it and selecting "Make into App Tab" from the context menu. - Web developers can animate content using CSS Transitions. - Responsiveness and scrolling improvements from the new retained layers layout system. - Changes to how XPCOM components are registered in order to help startup time and process separation. What's your impression regarding version 4, is it worth upgrading? If you use Windows XP operation system, Internet Explorer 8 too many problematic on this system. I am currently using Windows 7 x86. However, this software working better than Explorer 8. 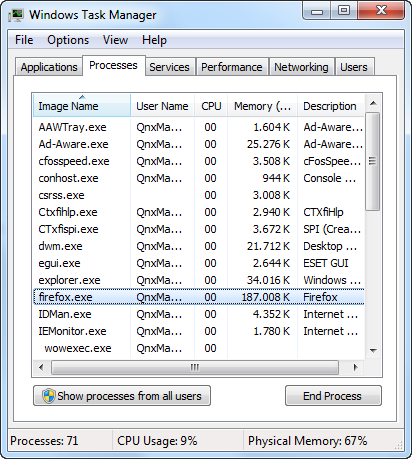 This program is open html pages faster and although more than one tab page open, the program does not more force the computer. So I think to use this software until published Explorer 9. I'm a the former Netscape user and so this program comes closer to me, as an alternative. I use firefox whenever possible. My only complain is the memory usage. Sometimes it gets a real memory hog. Lately I've also been having troubles managing the bookmarks, don't know if this is related to firefox itself or one of the plugins that I've been using. Might try this soon, thanks for letting us know about the new beta. Well.. one solution would be the use of databases to keep the contents of each tab. Thought a bit slower than keeping all in memory when switching tabs, it would certainly save a whole lot of memory. They're already using SQLite as a database solution to maintain the bookmarks, I wonder what keeps them from trying this approach.